This is one of two not promising things - first it is an eighties album by an established rock performer and it falls victim to the synthesised curse of that era; secondly it is a Rolling Stones solo album produced during the time when the group were at their lowest ebb. However, like Keith Richards' "Talk Is Cheap" from the following year, it is not bad and probably superior to The Stones' output from that period. Take the best tracks from this and "Talk Is Cheap" and you would have a good Stones album. The very future of The Stones was in doubt at this time, so this was a genuine, concerted effort to launch Jagger's career as a solo artist. It is a reasonable effort, too. Three of the songs were written with The Eurythmics' Dave Stewart, otherwise the album is written by Jagger. 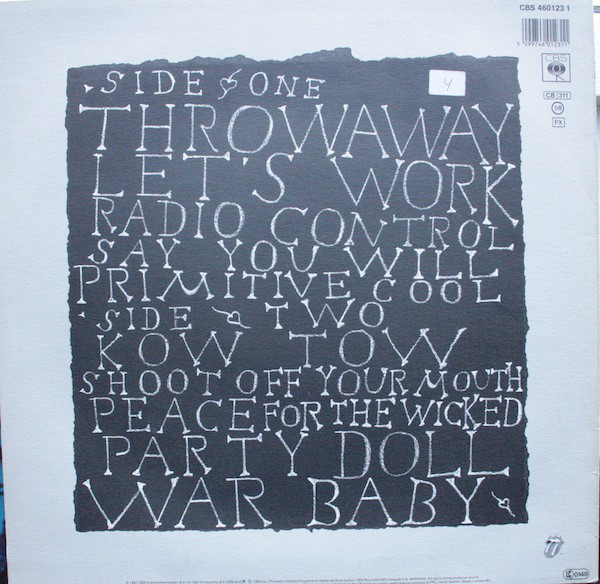 "Throwaway" starts with a typical eighties programmed drum intro before it rocks into a riffy, appealing track with hints of Bruce Springsteen's material on "Born In The USA". It is perfectly ok, and would certainly have been more than acceptable on The Stones' "Dirty Work" or "Steel Wheels". "Let's Work" is one of those strange songs where millionaire Jagger urges everyone to get off their backsides and "work", rather like "Hang Fire". It suited the "Wall Street"-inspired "greed is good" mantra from the same year. While catchy (it sounds like the backing for an aerobics class), its sentiments are questionable. "Radio Control" has a huge chunky riff and a convincing vocal. I qyite like its power and bludgeoning attack. "Say You Will" is a laid-back mid-pace rock number of the sort The Stones would do a lot in the nineties. It borrows the synthesiser riff from Springsteen's "Glory Days". The title track is very much an archetypal late eighties rock song with big synth breaks. It is enlivened by an evocative saxophone. 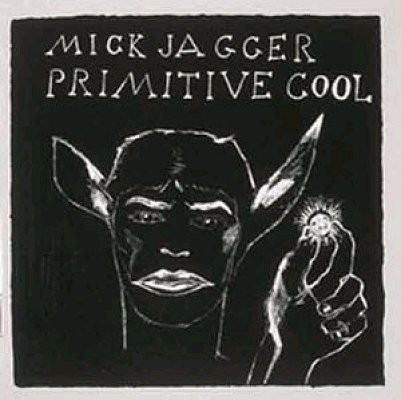 "Kow Tow" is Jagger's "How Do You Sleep" moment as he sourly addresses Keith Richards as "a snake in the grass". It is obviously a song of emotional importance to Jagger, but it comes across, as these sort of songs tend to, as a bit bitter and indulgent. "Shoot Off Your Mouth" continues down the same road, but without as good a tune. Time to let it go, eh, Mick? "Peace For The Wicked" is a nineties-era slightly funky Stonesy groove with Jagger's voice at his most pronounced and leery. It is one of the best of the album's tracks, a bit ahead of its time. "Party Doll" is a country-ish slow burner (covered by Mary Chapin Carpenter). It has Jagger giving us his best cod-country accent - "howonkaay-towwonk..." and the backing features some Irish-sounding pipes. It is another great track. 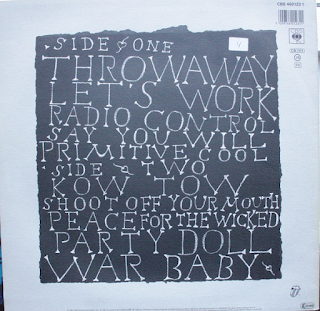 "War Baby" is an evocative, excellent song. Those pipes appear again. Material like this is more sensitive than a lot of his Rolling Stones material. It is one of Jagger's best compositions. I much prefer this to the over-synth-dominated "She's The Boss". This is a pretty good album, it has to be said.